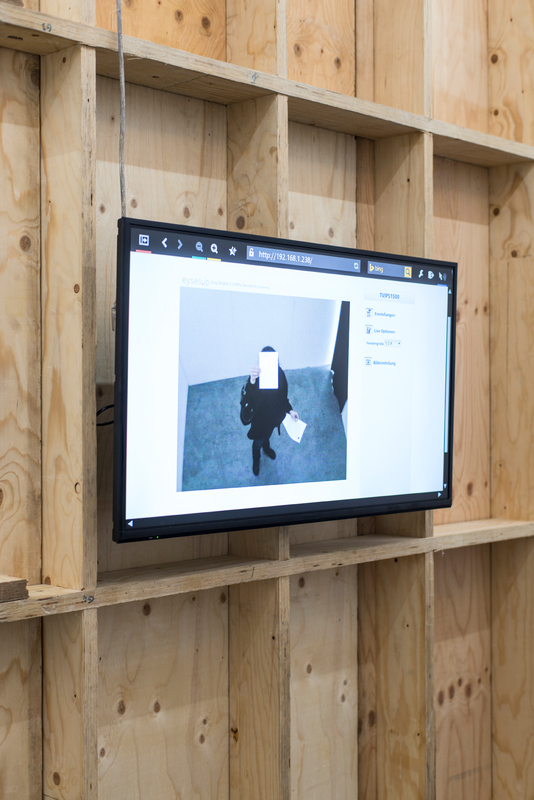 During the exhibition of “Public Performance” in the Empty Cube, Hannes Egger took the basic concept of the temporary wooden exhibition space seriously: he left the room empty and attached only a surveillance camera to the ceiling. Upon entering the exhibition space, hand-drawn performance instructions are distributed to the guests. Those who wish to have one agree to carry out the instructions carefully. A screen is mounted on the rear wall of the Empty Cube that broadcasts the performances live from it.